Friday morning, the American Network of Community Options and Resources (ANCOR) announced that Nicole Dufour and Marian Mulba-Poquee, both Direct Support Professionals at The Institute of Professional Practice, Inc., have been named the recipient of the 2019 DSP of the Year award. Dufour and Mulba-Poquee join more than four dozen other recipients of ANCOR’s 2019 Direct Support Professional of the Year awards, chosen from a field of nearly 350 outstanding nominees. Awarded annually since 2007, ANCOR’s Direct Support Professional of the Year awards recognize outstanding professionals who provide long-term supports and services to individuals with intellectual and developmental disabilities (I/DD). The awards and the accompanying presentation at ANCOR’s Annual Conference were created to celebrate the important role Direct Support Professionals (DSPs) play in ensuring individuals with I/DD can be included and empowered in their communities, and to raise awareness about a direct support workforce in crisis. Nationally, turnover rates near 50 percent amount to a significant shortage of DSPs. 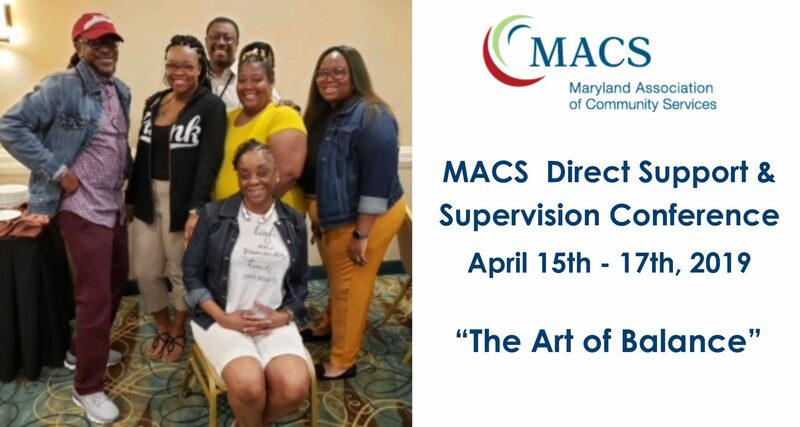 Mid-Atlantic HSC program managers, coordinators, and leads attended the Maryland Association of Community Services (MACS) Direct Support & Supervision Conference April 15th- 17th in Ocean City, MD. The conference has been called one of the best conferences for direct support professionals in the country! Opening Plenary Speaker Joseph M. Macbeth’s talk titled “Raising the Bar for Direct Support Professionals” kicked off the conference. Macbeth is the Executive Director at the National Alliance for Direct Support Professionals (NADSP) and has worked in the field of intellectual and developmental disabilities for 35 years – beginning as a Direct Support Professional. 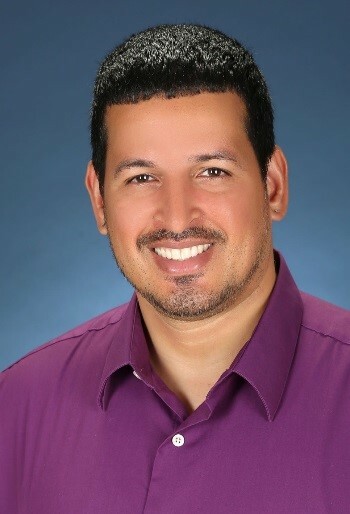 Meet Iran Nazario, native of Hartford, CT and Founder and President of the Peace Center of Connecticut, Inc. Nazario’s early life, however, was anything but peaceful. The trauma Nazario endured began before he was even born. During pregnancy, Iran’s mother suffered domestic abuse at the hands of his father. Iran was born into a life of drugs, abuse, neglect and gangs. Inevitably, his home life led to placement in foster care. After bouncing back and forth between the foster care system and his biological family, Nazario ended up living on the streets of Hartford at the tender age of twelve. He dropped out of school and tragically, having been taught to use violence as a weapon, he served time in prison for domestic and other violent crimes. Nazario was caught in the perpetual cycle of the violence and crime he had known all his life until the intervention of Mike Borrero, a professor at UCONN, who encouraged Iran to tell his story, talk about his path and speak up about his life experiences. Because of his relationship with Professor Borrero and his experience telling his story, Nazario found the organization COMPASS Youth Collaborative, where he developed his passion for helping others, specifically supporting at risk youth. On Wednesday, April 10, 2019, The Institute of Professional Practice, Inc. brought together 50 of its leaders and future leaders to discuss the organization’s strategic plan. Vision 20/20 is a three-year action plan to transform IPPI into a unified agency. During the past nearly two years, members of this group of 50 have been working through the plan’s strategic goals and objectives to create recommendations and next steps for implementation. At the meeting last Wednesday, the group met with Stella Lee, an Encore Fellow with Empower Success Corps. Stella will be working with IPPI to shepherd Vision 20/20 through to implementation and completion. Our efforts to implement the strategic plan have been supported by IPPI staff and board members working together. This continued partnership and collaboration will bring us closer to our vision for stronger communities. To read the organization’s strategic plan, click here. 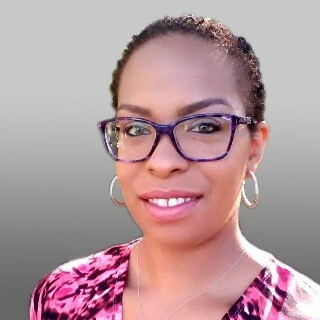 Meet Genese Clark, founder of Advocate Lab, LLC. A native of New Haven, Connecticut, Clark comes from a long line of creative thinkers. In childhood, she learned a mantra that would guide her for life. Originally her father’s mantra, the “Four Things” include the following powerful reminders: “1. Put God first; 2. Think for yourself; 3. Stick together; and 4. Never give up.” The “Four Things” resonated with Clark as she pursued her goals. Clark launched Advocate Lab, LLC with the vision of creating a legacy of strong families through empathy, collaboration, and scholarly research. Clark utilizes the Family Strengths Model which identifies six universal areas that families typically possess in order to identify their unique strengths and build on them. Meet Ellen McNally. Ellen is a Trauma Sensitive Yoga Instructor. McNally believes in the healing power of yoga and meditation and encourages foster caregivers and youth in foster care, who often struggle with the devastating effects of trauma, to explore these natural options. McNally began practicing her craft in 2012. Her classes are designed to support students of all ages, abilities, and physical capacities. She specializes in yoga for deep relaxation, stress, and anxiety and for veterans who have experienced PTSD. Recently, Ellen joined the Integrative Medicine staff at Yale New Haven Hospital to teach yoga and guided meditation. McNally also provides Reiki (therapeutic touch therapy) to cancer patients. 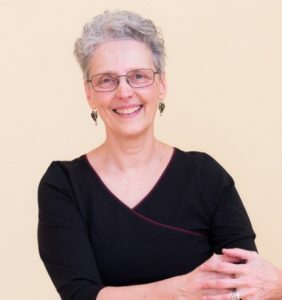 McNally supports foster care awareness and serves as a resource for the IPPI permanency team by doing what she does best – easing the mind through body work. 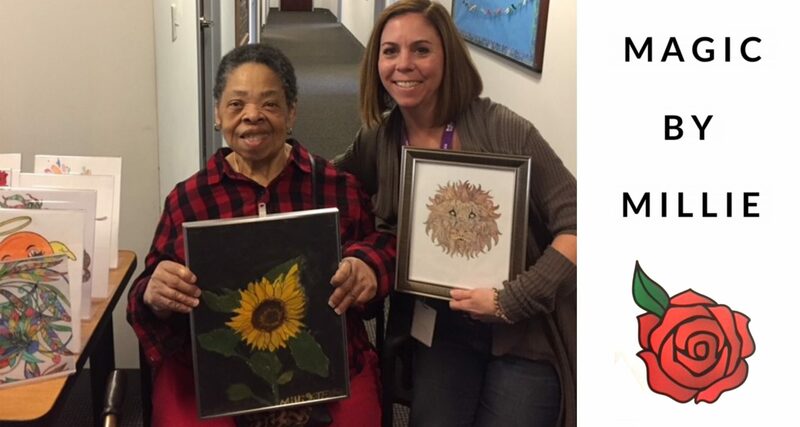 “I love supporting our individuals businesses!” Christy George, Youth & Family Resource Manager for IPPI’s Permanency Team, proudly displays her purchase of custom artwork created by Millie, of Magic by Millie. 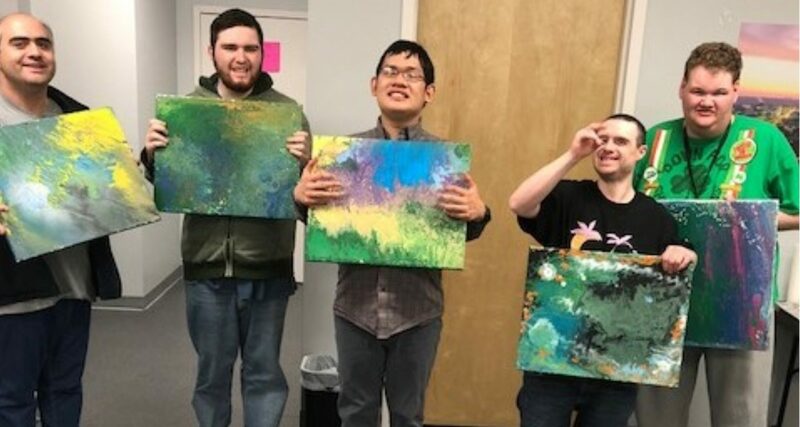 A number of individuals we support participate in vocational programs that provide opportunities for them to share their passion and creativity. Meet Anaika Ocasio. Anaika worked for the US Postal Service for 16 years, but when USPS announced downsizing throughout the US, just like that and much like our youth in foster care, her life changed abruptly. Anaika comes from a family of entrepreneurs. Raised by her grandparents, business owners in Puerto Rico, Anaika learned first hand the importance of hard work and ingenuity. At the age of 12, Anaika relocated to New Haven, Connecticut and was reunited with her mother, who also embodies the entrepreneurial spirit. Anaika’s mom was the first woman to open a clothing boutique on Grand Avenue in the 80s. Anaika’s mother encouraged her to explore her own entrepreneurial spirit and in doing so, she discovered the world of massage therapy. The disability community has lost one of it’s most dedicated advocates. Pictured Carrie Ann Lucas, second from left, in 2018 in Windsor, Colorado, with her children, from left, Asiza, Heather, Adrianne and Anthony. Ms. Lucas fought for the rights of the disabled, especially those who are parents. Read her obituary in the New York Times Click Here.